Smart VectorImage : is a stand-alone program that converts scanned drawings, maps and raster images into accurate vector files (such as DXF, EPS, SVG) for editing in any CAD application. Support various source and target formats: VectorNow Raster to Vector converter is to convert raster images to vector images, supporting most popular formats, such as BMP, GIF, JPG, PNG TIF, etc for input format and DWG and DXF for output format. Easy using and friendly settings: This converter is simple, quick and easy to use. There are only steps for the conversion and settings are friendly, usually you may use default settings. TraceART is a professional raster to vector conversion program (Vectorizer). TraceART can let you quickly convert uneditable scanned paper drawings into accurate vector files for editing in any CAD program. 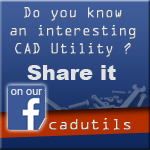 It saves the converted file as an industry standard DXF file (Data Exchange Format) that can be read by any CAD program that supports this format. TraceART is a direct replacement for traditional tracing and digitizing, releases you from tiring work.